MONTREAL --- CAE today announced the company has been awarded a contract from General Atomics Aeronautical Systems, Inc. (GA-ASI) to develop a comprehensive synthetic training system for the United Kingdom's Protector RG Mk1 remotely piloted aircraft system (RPAS) program. The Protector will be operated by the Royal Air Force and is the UK-specific variant of GA-ASI's certifiable MQ-9B SkyGuardian RPAS, which can meet the most stringent certification requirements of aviation authorities. Under terms of the contract, CAE will design and develop a comprehensive synthetic training system that will include desktop and high-fidelity mission trainers specific to the Protector RPAS. 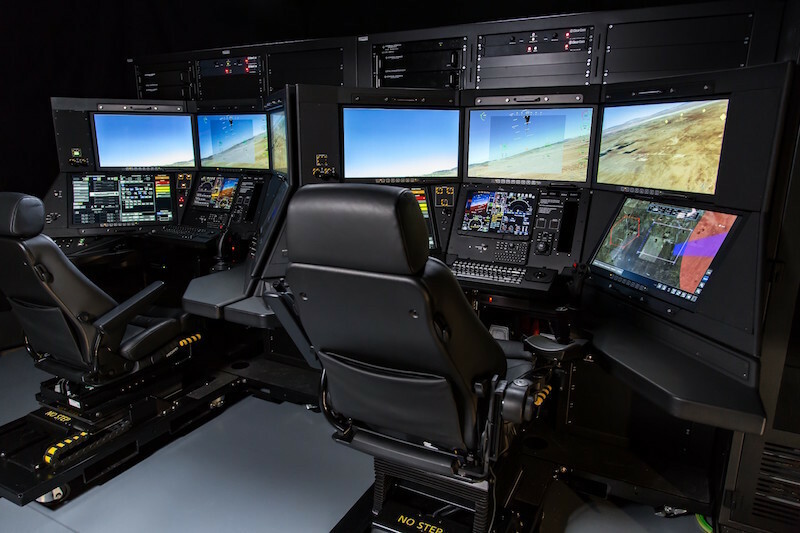 The high-fidelity Protector mission trainers will be based on GA-ASI's certifiable ground control station (CGCS) and will be the first simulators developed for this advanced CGCS. CAE will also provide brief/debrief and scenario generation stations as part of the overall synthetic training system. "We are pleased to continue our global training partnership with GA-ASI to support the UK Protector program," said Gene Colabatistto, CAE's Group President, Defence & Security. "Protector will offer a new level of capability in an unmanned air system and will require well-trained aircrews. We will leverage developments we have made over the past several years creating the highest fidelity training devices for the Predator family of remotely piloted aircraft to produce a world-class synthetic training system for the Protector program." "MQ-9B SkyGuardian, which Protector is based on, represents the next-generation of remotely piloted aircraft capabilities, including longer endurance and automatic take-off and landing," said David R. Alexander, president, Aircraft Systems, GA-ASI. "The Protector synthetic training system will play a key role helping the Royal Air Force develop skilled aircrews and we are pleased to collaborate with CAE as our training partner on this critical program." CAE is a global leader in training for the civil aviation, defence and security, and healthcare markets. We have the broadest global presence in the industry, with over 9,000 employees, 160 sites and training locations in over 35 countries. Each year, we train more than 220,000 civil and defence crewmembers, including more than 135,000 pilots, and thousands of healthcare professionals worldwide.